Take your BlackBerry for a stroll in the Spring Garden and experience the warm, vibrant colors of a crisp spring day. The bright backgrounds and easy to navigate icons make this theme ideal for people on the go in springtime. 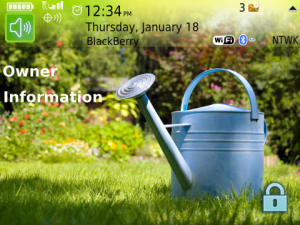 Download this theme today and enjoy some time in the Spring Garden!